This has been a classic dessert that is available in our home with or without occasion as long as almost everyone, if not everyone, is around. It’s the Mango Float! The mention of a mango float over meals makes each one finish the main course shortly in anticipation of the sweet dessert. The sweet and cold “sedimentary rock” is rock hard when pulled out from the freezer, with tough but soft texture. 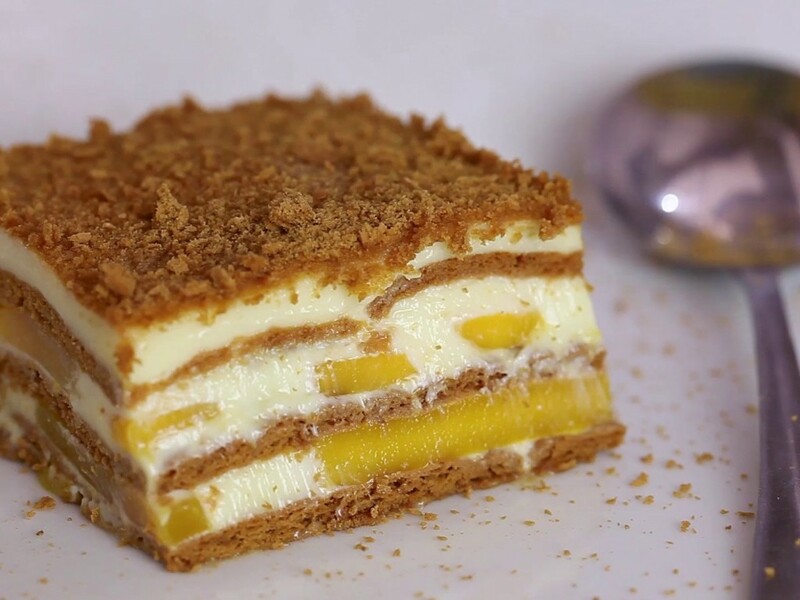 Mango Float is layers of sweetness, creaminess and milkiness. Mango is a tropical fruit, and native in the Philippines. It is available whole-year round so Mango Float can be prepared at anytime. However, control on the amount to be eaten should be watched out. Eating too much Mango Float can shoot up blood sugar level, may cause diabetes, and may make one fat. I find time to jog when Mango Float is available at home. Mango Float is easy to prepare, with just four ingredients needed. Mix well All purpose Cream and Condensed milk in a bowl. Cover base of aluminum or glass pan with graham crackers. Pour cream-condensed milk mixture such that mango is just covered. Place Graham crackers on top of the cream-condensed milk mixture. Repeat steps 3 to 5 until all ingredients are used. You may make use of a little creativity on the presentation of mango float such as placing cherries on top, designing serving saucer with chocolate syrup, placing it inside individual jars instead of one big tray, etc. Looks delicious — and probably dangerous for my waistline! I expected a geology post. Aren’t you clever.